Are you a home remodel contractor or remodeling / renovations business looking for a cabinet door supplier? Outside the Box DIY Cabinet Doors and Refacing Materials offers quality cabinet doors at wholesale prices. We deliver custom finished or unfinished wholesale cabinet doors and refacing materials straight to your business. We offer both unfinished and custom finished cabinet doors and drawer fronts, as well as cabinet hardware, cabinet box veneers and 1/4in skins, and Millwork such as crown molding and base molding. Whether you are doing just cabinet door replacements are working with clients for a full kitchen remodel, Outside the Box delivers. We work with small contractors and large businesses alike! If you are looking into offering cabinet refacing as a part of your business model, learn from our step by step video tutorials to correctly reface cabinets using our refacing system. Give us a call at 1-844-818-3357 to learn more about Outside the Box, our finished or unfinished cabinet doors, custom cabinet drawers, and our hardware and refacing system. We are happy to help you get started with ordering wholesale from us! Complete and full service cabinet refacing online store, offering cabinet doors and drawers, cabinet hardware, millwork, and refacing materials. Beginning to end step by step video tutorials on how to reface your cabinets yourself. Become your own contractor and reface your bathroom or kitchen cabinets like an expert! Full cabinet refacing resource for both contractors and homeowners alike. Transform your kitchen using our tested refacing system and rest easy knowing you will have the kitchen or bathroom of your dreams. High quality solid wood cabinet doors in a variety of wood species: Alder, Rustic Alder, Maple, Cherry, Hickory, and Sapele. All unfinished doors are stain ready and paint ready! Custom made to order cabinet doors. See the difference of our stains, glazes, and tinted lacquers or order unfinished wood cabinets. Pre-finished cabinet doors arrive ready to hang! No minimum quantity or order size! Buy what you need online and have it delivered straight to your door through FedEx or Flat-Rate Crate, depending on order size. See the difference and think Outside the Box! Outside the Box delivers high quality, wholesale price solid wood cabinet doors to most locations in the continental United States! We ship cabinet doors and cabinet refacing supplies with no minimum order for your contractor jobs. Buy cabinet doors for your cabinetry projects and transform your home today! 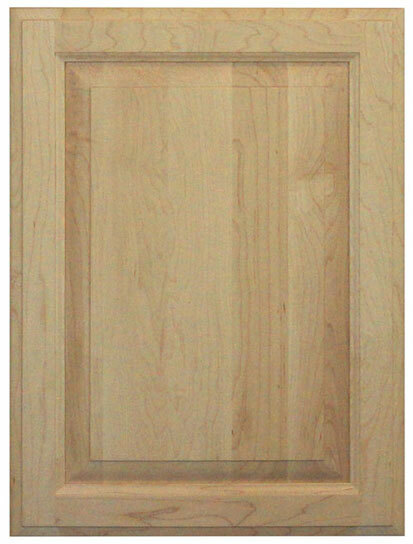 To visit our storefront and shop cabinet doors now, click here. Having trouble shopping or picking our doors? Click here for help. Need to learn how to measure for your cabinet doors? Click here.